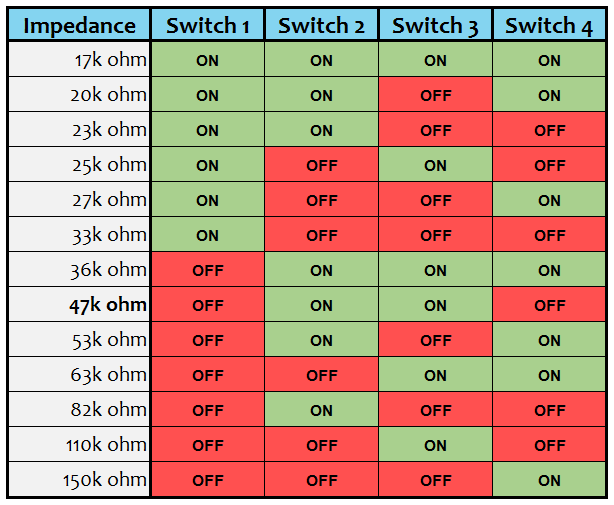 Although the default input impedance for most cartridges is 47k ohm, many are reporting that other input impedances are giving better results for certain phono cartridges. There are a few options that are too close together to be useful (which I haven't listed in the table above), but we get quite a range to choose from nonetheless. Look at this next bit for a complete list of impedance choices. Part of the fun of building something yourself is that you can adapt the project to suit your needs. 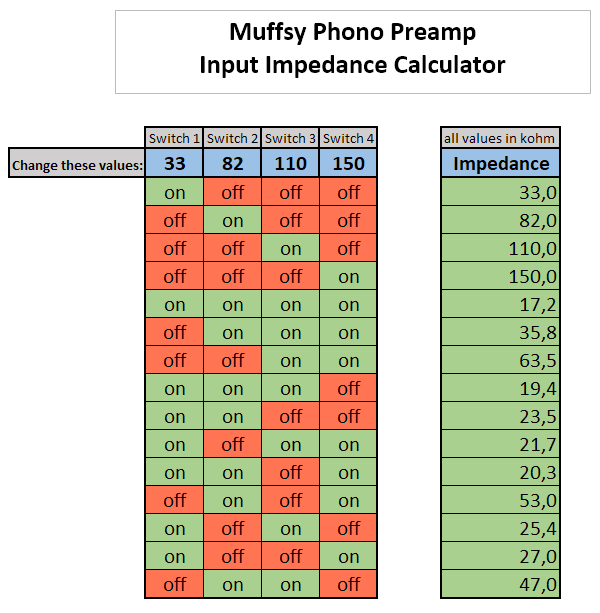 Here's how you can modify the input impedance. 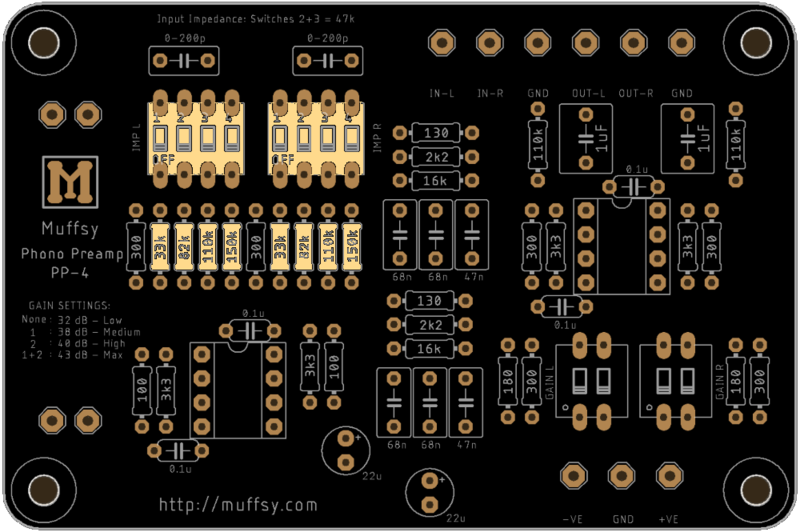 The big question is what to change the resistor values to. This is where the input impedance calculator comes in handy. Download it, play around with the values until you get it right, and substitute the resistor values with your own when you build the phono stage. The industry standard input impedance is 47 kOhm. I would recommend that at least one of your settings matches that, or has a value that's reasonably close to 47 kOhm. You may notice that there are a few more values in this table (which uses the default Muffsy PP-3 values) than what I have presented earlier. That's because I chose to ignore some of the impedances that are almost equal.